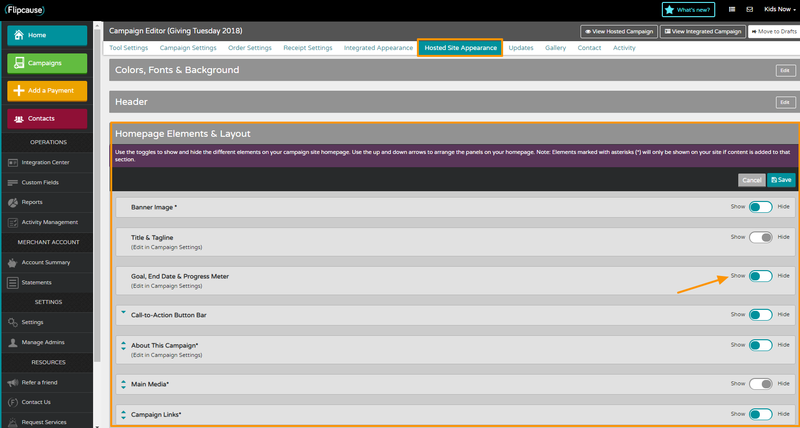 To get started, navigate to the Campaign Editor of the campaign in question. 2. 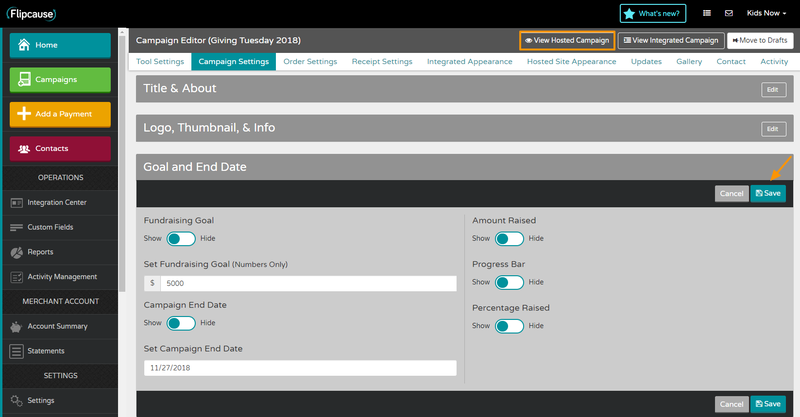 Here you can enter your fundraising goal (use numbers only, no commas or $ or other symbols), an end date, and choose to display the amount raised, progress bar, and percentage raised. Be sure to hit SAVE before moving on. Note: Currently the Progress Meter shows the total amount supporters paid including any shipping and sales tax. If you would like to adjust your progress meter to exclude shipping and sales tax, follow the steps below. You have the ability to manually adjust the progress shown, both the amount raised and number of supporters. You can do so in the Activity tab in the Campaign Editor. Click Edit in either Make a Progress Adjustment or Adjust Number of Supporters and enter the amount you would like to adjust the progress meter and/or number of supporters and a description. Make sure to only use numbers for the amount and keep in mind that you can also enter a negative amount to adjust the meter the other way. Be sure to hit Save. 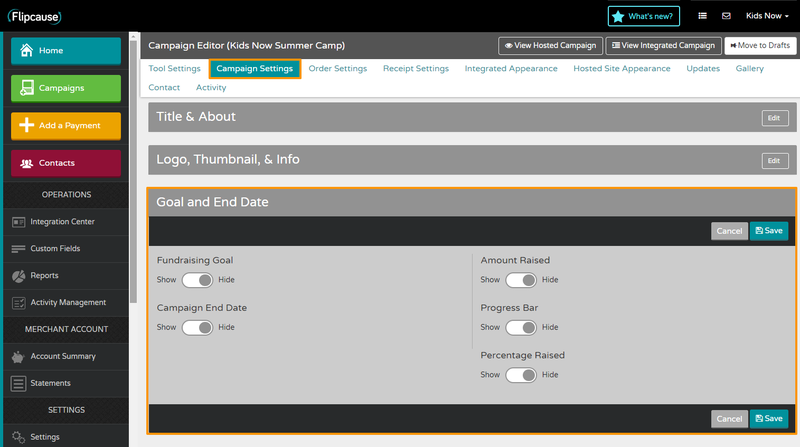 By default, all manual adjustments you make will be displayed on the campaign page. Once you have made adjustments, you can manage those adjustments in the same Activity tab, using the toggles to show or hide each one.